offers easy-to-remember strategies for responding to threats and attacks and when facing potentially dangerous situations. The money to accomplish this comes from voluntary contributions made by REALTORS®. Real estate-themed designs plus rewards including gift cards, travel, and more. Enjoy the exclusive benefits of the REALTOR® Credit Card, the credit card created in partnership with the NATIONAL ASSOCIATION OF REALTORS®. 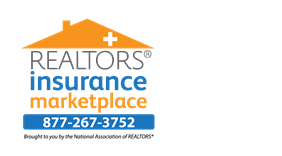 Visit our table at NAR's 2016 Leadership Summit, August 22 and 24, 2016. Apply for your REALTOR®Credit Card today! WHICH ELEMENTARY SCHOOL IS THIS HOUSE WITH? are eligible for a home. No more calls to the schools or Board of Education. Go to: www.MedinaBees.org and click on WebQuery Routing Info. school information is provided, along with bus pick up information. Click on the school for a map of that particular school's district. YOUR LICENCE AND CE'S ARE DUE? WHAT CLASSES YOU STILL NEED? This letter is located on all certificates, located in the middle of the certificate number. your show tickets online at a special discount and often before the general public. To order tickets for a show, enter the Promo Code; CLETIX and follow the prompts. You will be sent a confirmation via email with notification as to where to pick up your tickets. (there is a small ticketing fee ($7 per order). Keep checking the website as shows are consistently being added. The Medina County Board of REALTORS® (MCBOR) is committed to providing an accessible website. If you have difficulty accessing content, have difficulty viewing a file on the website, or notice any accessibility problems, please contact the MCBOR office to specify the nature of the accessibility issue and the assistive technology you use..
MCBOR Committee Meeting Minutes are avail. to members on request.